Midnight Madness is a fun and fantastic tradition that happens every year in Winchester, MA! It’s a great way to support local business and tackle your holiday shopping. 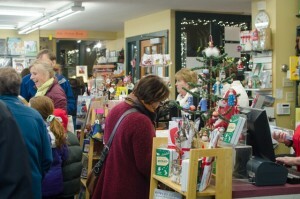 Some of our member businesses (such as Bookends) report that it’s the best and busiest sales day of their entire year. It’s an annual Shopping and Dining Event in the center business district of our town. People come out to kick-off the holiday shopping season, gather with friends for food and drink at our wonderful dining spots, and take advantage of terrific sales and merchandise offered by the diverse and unique merchants and businesses in our town. 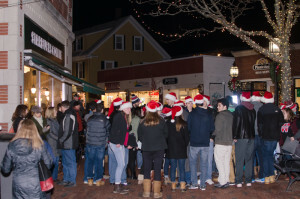 What makes this event extra-engaging and festive is that many community groups, such as choruses and musicians, are stationed at various venues to offer entertainment and liven up the holiday spirit. Call or e-mail the chamber office.